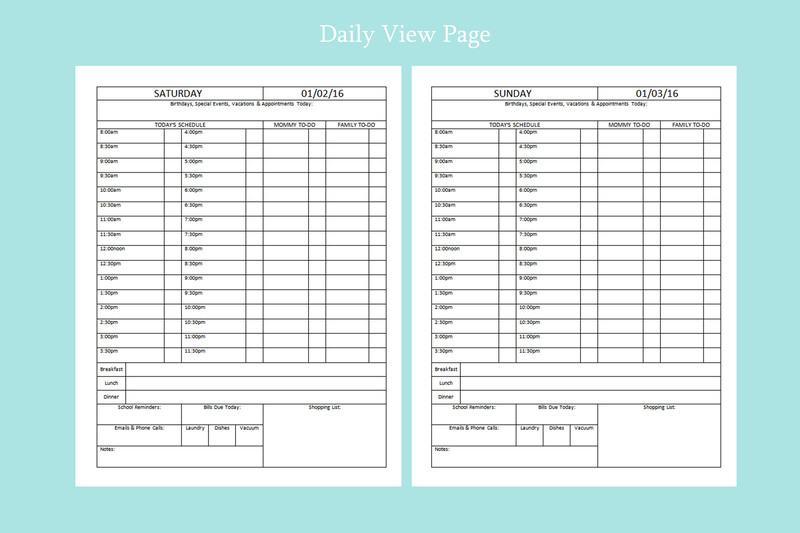 Beba Planners originally began with The Photographer’s Day Planner. It has now grown this year to include 2 other kind of day planners as well–The Busy Mommy Planner and The Business Entrepreneur Planner. The Busy Mommy was created with the busy mom in mind. There are so many appointments, events, school functions and things to remember as a mom and this day planner helps you to organize it all! There is a place for moms to keep track of each individual family’s schedule. Because each family has a different amount of members in it, there are little squares next to each entry that can be initialed with that member’s appointment or To Do.